The cosplay you choose for your first one would ultimately depend on you. Something to take into account would be how much money you are willing to spend on it. If you have no budget then sky is the limit :) . That being said, I like the idea of Decidueye being a forest elf. That one might be more for a challenge if you aren't as experienced in costume making. I also like the idea of a Coraline cosplay. I have never seen a Coraline cosplayer in person and I think that it would be something fun to do. 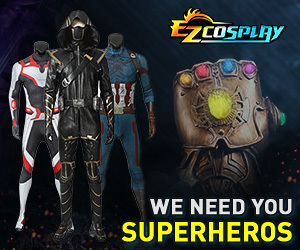 Whatever you pick, make sure you will have fun cosplaying it as well as making it! Good Luck! To quote Alice-kun, it depends on what you want to spend, and to add my own point, it depends on what your skills are. IF you're not comfortable making armor, I'd probably drop out Loki. The rest of them really suggest themselves to be sewing projects, which are all fantastic options for first timers. 1. How much money do I want to spend? 2. What are my best skills for creating a cosplay? 3. How recognizable do I want to be?